To all the crispy lovers and fans out there who like to indulge, but would rather do it the waistline-friendly and healthy way: I’ve found something delicious for us!!! ORGANIC sunflower baked VEGETABLE CRISPS by TRAFO — my newest addiction and guilty pleasure! 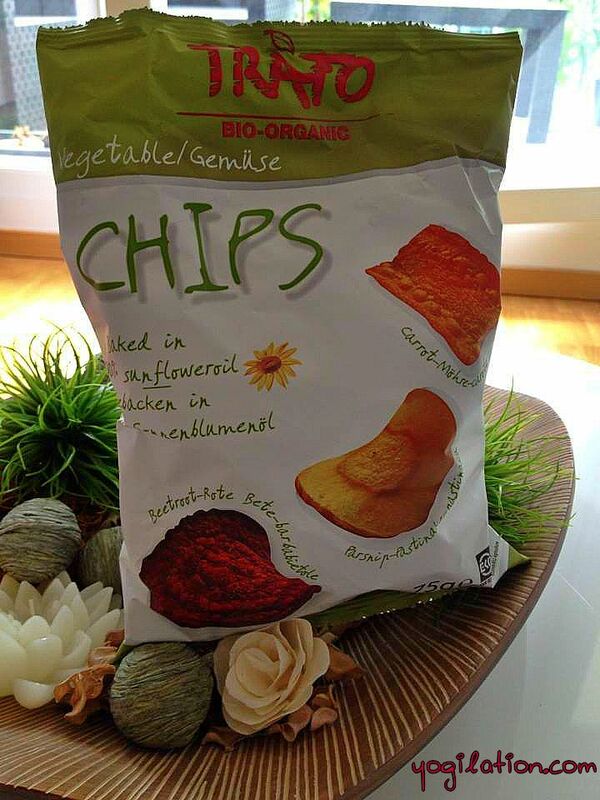 Tra’fo vegetable chips are fried in a vacuum oven in 100% sunflower oil at only 130 degrees. This low temperature slowly bakes the sliced vegetable to wonderful crisps you’ve never tasted before. Tra’fo vegetable crisps: high on fibres and low on fat. I usually buy them around the corner in my ALNATURA organic store in Berlin Mitte, but I honestly haven’t seen them at other organic places so far in Berlin, have you? I have seen it in Denn’s Biomarkt in Leipzig before though. The only downside of those chips is the price: around 2,50 Euro ( US$3.20), which is not necessarily cheap. Have you tried them? I’d be curious to know. In case you don’t have a store around you that has them in stock, no worries, you can also buy them online, for example HERE.